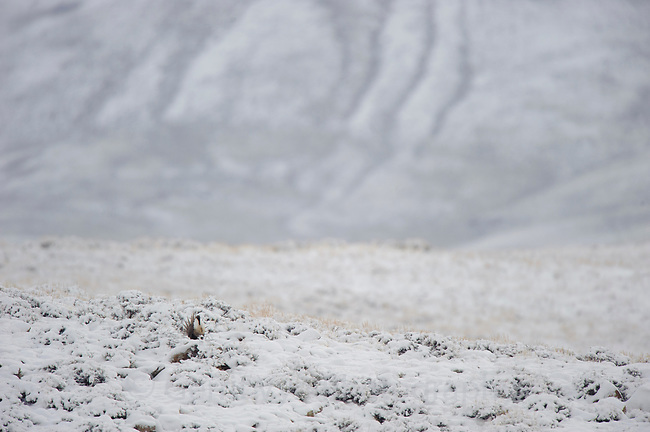 A male Gunnison Sage Grouse (Centrocercus minimus) displaying on a snowy ridge after being displaced from its lek by a hunting Golden Eagle. Gunnsion County, Colorado. April.